For over 25 years, ProPak Asia —Asia’s largest trade event servicing the entire food, drink, and pharma processing and packaging supply chain will open its doors again in 2018 to welcome an estimated 1,800 exhibiting companies and over 50,000 professionals. With increased participation and nearly 90% of the show floor sold, PKA 2018 has further expanded to include a 9th exhibition hall at the Bangkok International Trade and Exhibition Centre (BITEC). From the positive attendee feedback regarding ProPak Asia’s “sectorized zones” – making sourcing between categories more efficient, ProPak Asia 2018 introduces its newest 9th zone “Printech Asia” which is a joint venture with The Italian Machine Manufacturer Association ACIMGA – organisers of the largest print technology trade fairs in Europe. Printech Asia is dedicated to covering the latest in converting, package printing, and labelling technologies and services across Asia. This new zone joins ProPak Asia’s existing eight zones which includes ProcessingTechAsia, PackagingTechAsia, DrinkTechAsia, PharmaTechAsia, Lab&TestAsia, MaterialsAsia, Coding,Marking&LabellingAsia and Coldchain,Logistics&WarehousingAsia. 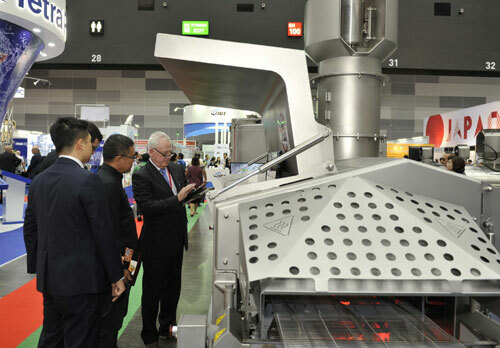 In addition ProPak Asia 2018 plans to expand up on topics and displays concerning drink technology, meat processing efficiency, and a burgeoning new host of confectionary packing and processing equipment. Renown as not just the largest trade show of its kind in the East, ProPak Asia is also the most international event by virtue of hosting 17 pavilions with 13 separate countries including leading producers of packaging and processing machinery from Germany, Italy, Japan and China. 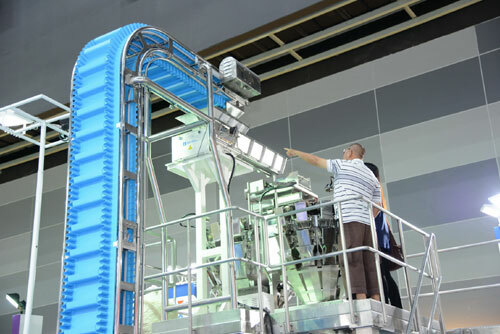 In total, ProPak Asia hosts companies from over 45 countries representing an estimated 5,000 individual pieces of major packaging and processing equipment. About ProPakAsia ProPakAsia is organised by UBM Asia-Asia’s Largest Trade Show Organiser—and a division of UBM plc. UBM is the largest pure-play B2B Events organiser in the world. Our 3,750+ people, based in more than 20 countries, serve more than 50 different sectors. Our deep knowledge and passion for these sectors allow us to create valuable experiences which enable our customers to succeed. Please visit www.ubm.comfor the latest news and information about UBM.